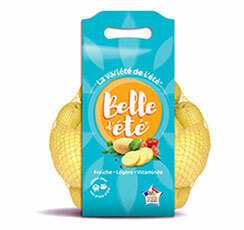 Germicopa stands out for its expertise in promoting varieties to consumers. 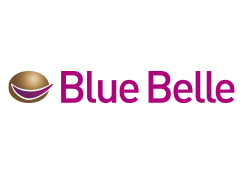 Germicopa and its fresh market partners are investing in the development of varietal brands. 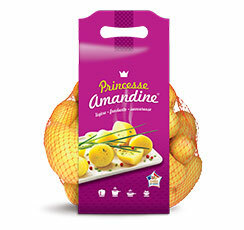 These projects highlight the qualities of the varieties and the specifics of certain production regions. 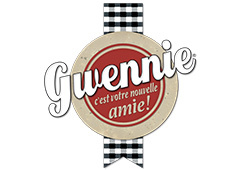 These brands are, for the consumer, the guarantee of a constant quality, for which Germicopa and its partners commit themselves. 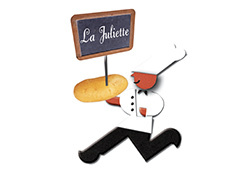 Particular attention is given to the taste, the consumption method and the seasonality of the production, in order to make these brands sustainable references of the market. 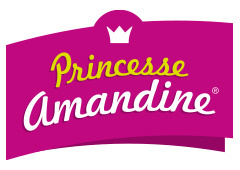 A flagship brand of Germicopa, Princess Amandine is recognised as a reference in the French market for firm-fleshed potatoes thanks to a remarkable quality of presentation and a refined taste. 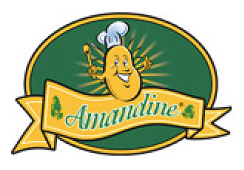 Developed for the Swiss market, the brand Amandine of the Lake Geneva is appreciated for the double guarantee it brings: a local production and a potato of high quality that is beautiful and melts in the mouth. 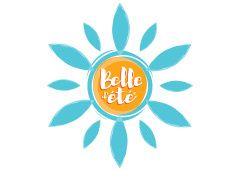 Freshly harvested throughout the summer, Belle d’été is a seasonal product. 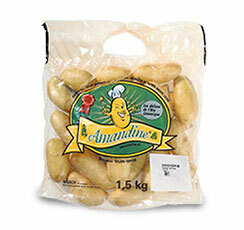 Thanks to its blonde dress and its light texture, it is the essential potato of the dishes of the summer. 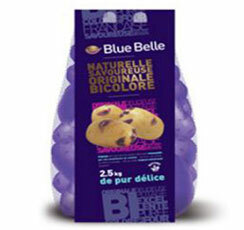 Blue Belle is the potato of gastronomes. 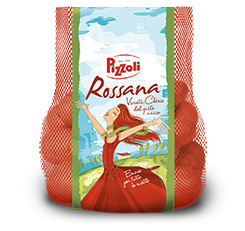 Recognisable by its beautiful blue eyes, it combines this originality with tender flesh and exceptional taste qualities. 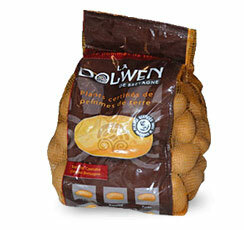 The best and prettiest of the small red-skinned potatoes suits the cuisines of different countries. 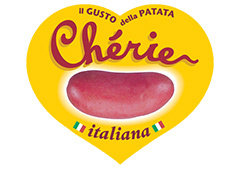 Chérie is marketed under its own brand in Italy and Portugal by Germicopa’s local partners. 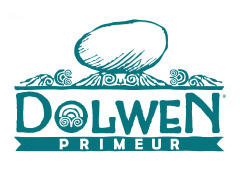 Whether in early or later in the season, Dolwen is 100% Breton. 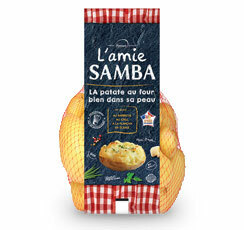 From the production of the seed potatoes to the packaging, each stage is carried out in the region where this excellent potato was born. 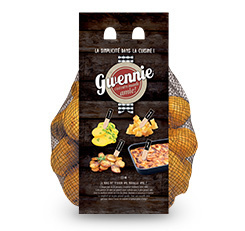 Excellent and unclassifiable, Gwennie is a beautiful potato, easy to cook and suitable for all preparations. 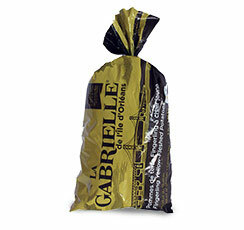 These features make it an indispensable part of everyday cooking. 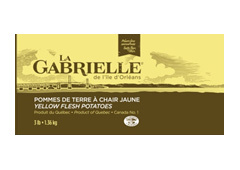 High-end product of the North American market, this “fingerling” type potato is grown exclusively on an exceptional terroir, the Ile d’Orléans, on the Saint Lawrence River, downstream from Quebec City. 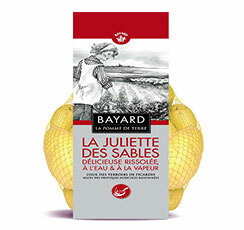 Small potato with firm flesh very typical, Juliette has the charm and the personality of the regional products. 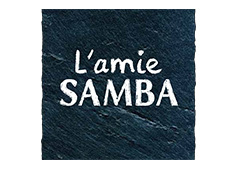 It is produced exclusively in two French terroirs that highlight it particularly: Burgundy and the Sands of Baie de Somme.